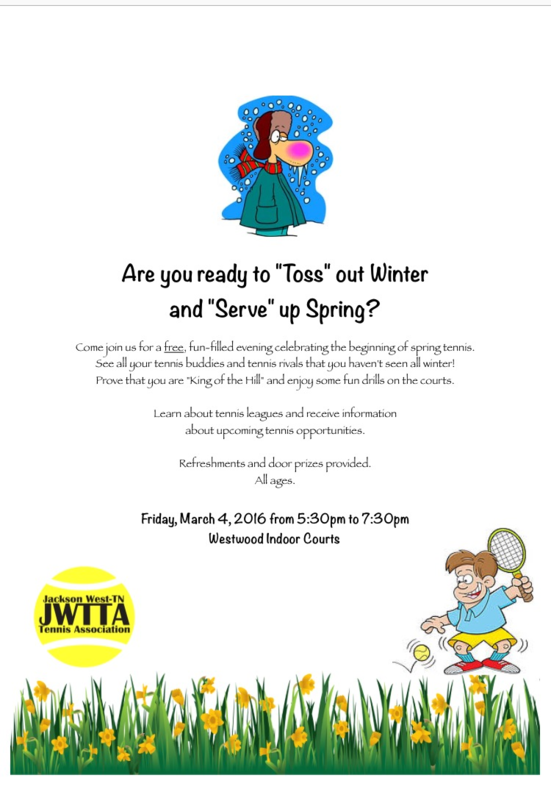 Come join us for a free, fun filled evening celebrating the beginning of spring tennis. See all your tennis buddies and tennis rivals that you haven't seen all winter! 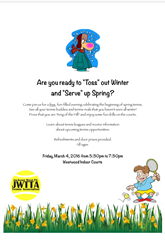 Prove that you are "King of the Court" and enjoy some fun drills with Ted Measley and James Walker. Refreshments and Door Prizes provided.